System requirements PC or Mac with a free USB port, or any USB hub. MIDI device with standard MIDI in/out ports. USB power adapter (5V min 200mA) for standalone/hardware operation. Glancing at their website, it’s obvious that while Faderfox like to make compact MIDI controllers, they’re not shy about taking on big custom jobs with built-in light shows. 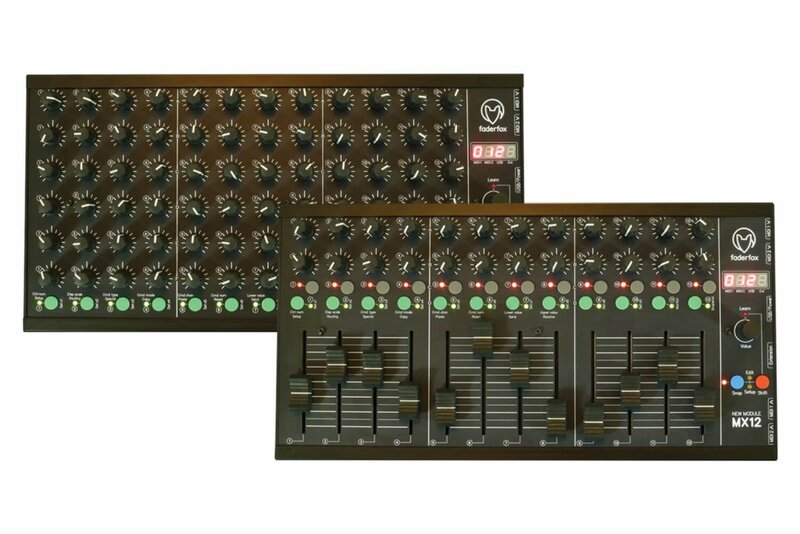 Their new PC12 and MX12 are somewhere in the middle, however, with the same footprint as the ‘classic’ Elektron hardware products such as the Machinedrum or Analog Rytm. That’s always been a good platform for a control surface – big enough to fit a fair number of knobs and buttons, but not so big that it’ll hog your desk space. Obviously, Elektron users are going to be very interested in these, because they’ll rig up so nicely with their instruments, but nobody is left behind – these controllers are just as useful connected to other hardware via MIDI cables, or computers via USB. 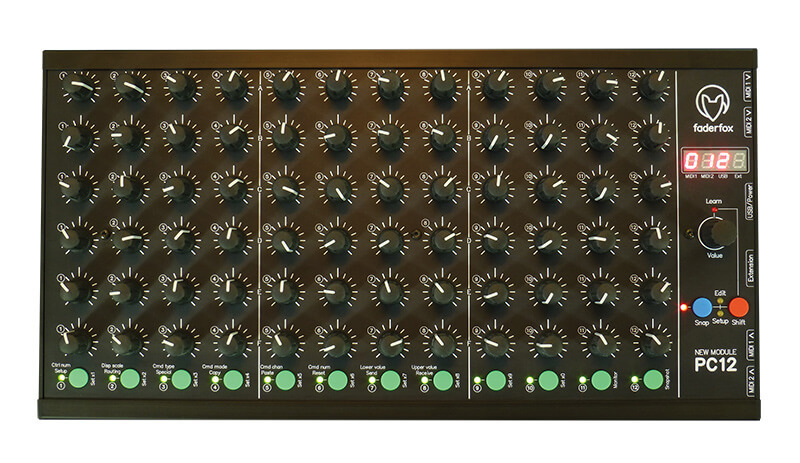 The PC12 has 72 knobs and 12 multifunction buttons; the MX12 has 24 knobs, 12 faders (60mm) and 24 buttons – there’s also a larger push button encoder for setup functions. The cases are aluminium and each has two MIDI DIN inputs and two outputs, as well as a USB connection and an ethernet style port (cable not included) which can be used to daisy-chain two of these devices for USB power and control messages. All connections are on the right end of the box, so it’s possible to neatly align two of them on a table or in a rack. A simple 4-digit LCD display shows the current status as controls are moved. With solid rubber feet, it isn’t going to slide around. The PC12 and MX12 both show typical high-quality Faderfox construction – they’re not cheap, but they don’t feel cheap, either. The proportions are indeed the same as the classic Elektrons – I put them next to my Machinedrum and checked! Elektron also sell a stand to hold both of these together, or one with an Elektron. Other than the control layouts, these two are very similar, so we’re discussing them as a pair. The package includes the relevant controller, a generic CD (containing settings, including projects and control surface scripts for Ableton Live, and manuals in PDF form), as well as a printed manual, USB cable, and 98 white sticky labels. For standalone use you’ll have to provide your own USB power supply – I ran them off an iPhone charger during the review and it worked perfectly. Let’s take a moment to appreciate the full-size MIDI connections that are used instead of those pesky minijack-to-DIN adaptors. Setup is straightforward; you can begin to use it as a standard generic MIDI controller immediately, or use the included content for Ableton Live or the presets for Elektron’s Analog Rytm. 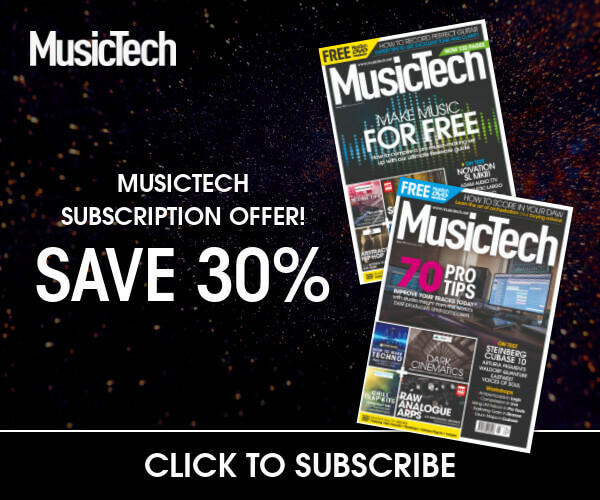 There’s no software editor, so you’ll need to do manual MIDI mapping for your software. To control hardware, you’ll need to check your hardware manual, then assign the Faderfox on a global and per-control level, sending control change, note on/off, pitchbend, aftertouch and program change, or configure it by putting the unit into MIDI learn, and save that as a preset – there are 30 slots available (backups and firmware updates are handled via sysex). This kind of activity is time-intensive on a gadget that has so many controls, but once you commit the necessary functions to memory (for example, to enter/exit edit mode, hold the shift key and press the blue key), editing gets faster. There are some time-saving shortcuts available, like you can assign properties to every knob or button in a row at once, and there are copy, paste, and duplicate commands. The green and grey buttons can send MIDI notes etc, but also act as function buttons when in edit mode. You might be wondering what you’d do with all of these controls, but I can’t see your setup from here, so I can’t help. The truth is, you’ll already know if you’re somebody who needs this level of control or not. Software synths in particular will benefit from this, where there’s no existing real-world hardware equivalent to Ableton’s Operator, for example. You might also have a set of controls spread across different plug-ins, and the host DAW itself, that you want to access from one panel at all times. Because each control on the Faderfoxes can output on a different MIDI channel, a single preset can reach into many instruments or effects at the same time, across different tracks in your project. To achieve this previously you might have used more than one controller connected at the same time, or one controller with a number of presets, but now you can do it all on one device and on one layer – and still with more layers available if necessary. Beyond music software, these will also be killer for VJs using software such as Resolume. I then added the PC12 to a hardware rig containing a sequencer, synths, and effects, and set to work building a preset that’d let me control chosen parameters on each of those units. The PC12 is a great hub for table top setups, especially if your rig includes modules that don’t have the most ergonomic control layouts. Because it’s so well-made, you don’t feel like the PC12 is letting the side down when you put it next to expensive gear, but you probably will need to use the included labels to help you remember what everything’s doing in a big rig! Of course, either the PC12 or MX12 are no-brainers for Elektron users – because they’re built to the same size as the classic Elektron box, they’ll even fit into the same dedicated bags and protective covers. Various MIDI routing options are available, again configured from the hardware itself, bringing great flexibility to the MIDI and USB ports. In/Out/Thru are all available, so there’s no reason you couldn’t use these to run hybrid rigs with hardware and a computer. The Faderfox PC12 and MX12 are ideal if you’re tired of budget devices that compromise on build quality; they’re totally solid and will hold their own in any performance or studio situation – or anywhere else you can think of where they’re likely to see a lot of use. Also, if you’ve been searching for something with more than the average number of knobs and buttons, you can stop looking now, especially when you consider that these have 30 presets each, so you’ve got multiple layers of controls, if you need to go to that extreme. Elektron users in particular are going to love the way these fit so perfectly alongside, and expand on, their favourite hardware – no other current controllers are going to buddy up so well with an Analog Rytm, for example. There aren’t many off-the-shelf controllers around with this many controls on them, and that combined with the quality of construction makes these more or less unique. 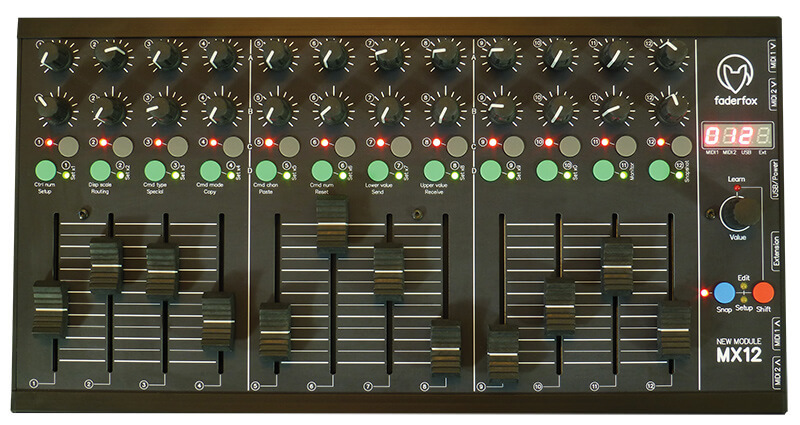 With one of these, it’d be quite possible to get through an entire live set without having to change presets, which I appreciate – I prefer to be able to overview all of my control settings at the same time. Sure, these are expensive, but they’re good investments; they aren’t likely to fall apart any time soon, and the reliance on plain old MIDI over DIN and/or USB makes them relatively future proof. The biggest issue with these is choosing one; I was drawn to the PC12 because that all-knob layout is so versatile. There are some cheaper alternatives out there, but they’re nowhere near on the same level. Even if you’re using something more 21st century, like Ableton’s Push or ROLI’s BLOCKS, the humble knob and fader are still valuable ways to interact, and there’s nothing to stop you using one of these Faderfoxes alongside your more futuristic options. 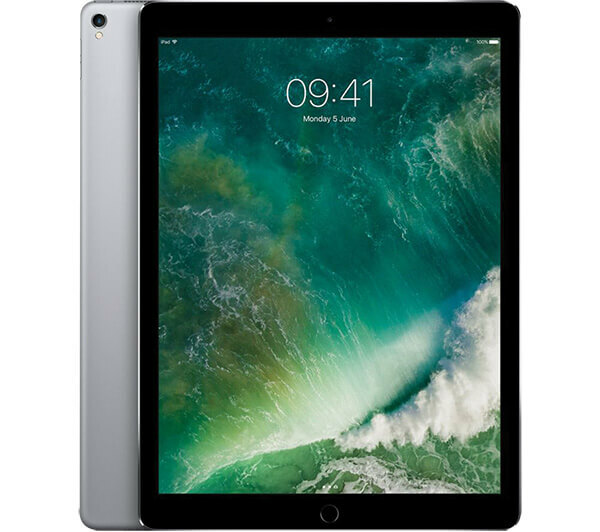 The largest of all iPads makes the most flexible control surface around, while also hosting synths, audio recorders, or anything else you need. You might take issue with the price, the vulnerable expanse of glass, and the lack of tactile ‘real’ controls. This is just one example from Akai’s extensive line-up of controllers. 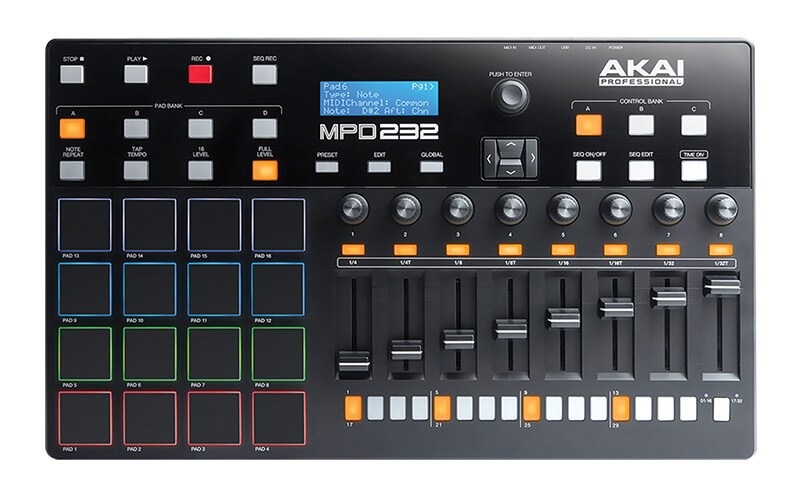 The MPD232 features an onboard step sequencer, 16 MPC pads, 8 faders, 8 knobs, and also includes a copy of Ableton Live Lite so you can get started producing instantly.